Childish Gambino’s provocative, timely, and necessary music video “This Is America” gets a retro makeover thanks to animator Wahyu Ichwandardi — who also works under the name Pinot — and the use of Apple computers and animation programmes from the 1980’s. 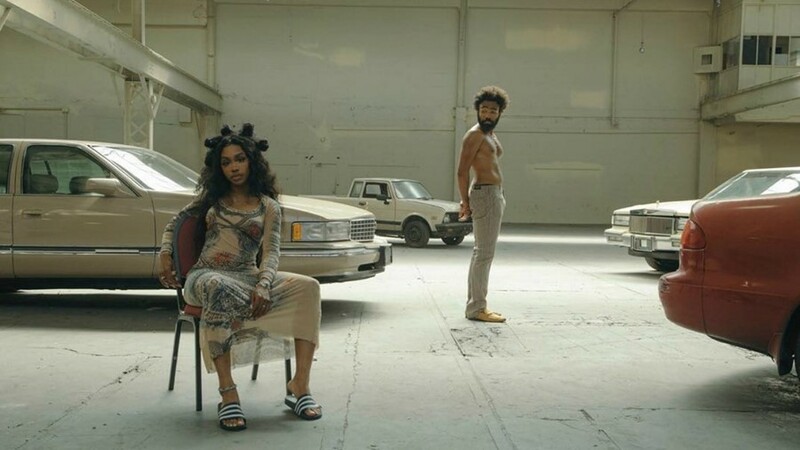 It may sound like a silly gimmick but in reality, Pinot’s efforts to recreate “This Is America” in its entirety are a testament to his skills as well as the lasting artistic fascination with “This Is America”. Per Mashable, Pinot’s began documenting his journey to turn “This Is America” into a thing of low-fi animated beauty on June 9 with his most recent update happening earlier this week on July 5. He's been using programs like MacPaint and MacroMind Video Works to bring each frame of “This Is America” to life. While he’s only gotten the first minute down pat, his efforts as documented on his Twitter and his Instagram show us just how much work is going into bringing this animated work to life. From the looks of his Twitter thread on his animation process, you can see that Pinot’s been painstakingly putting detail into the animation. This includes focusing on the minutiae of each pixel to get everything from Childish Gambino’s coif to his erratic movements as best translated into the ancient graphics of an Apple programme as possible. All of Pinot’s efforts means he’s inevitably run into difficulties, though. On June 3, he tweeted a side-by-side comparison of a moment where Childish Gambino spins around with his own rendering of the moment, writing, “One of the challenges for traditional motion capture: need to create the motion based on the suggestion. In this part, Donald’s feet are out of frame. Need to suggest where his feet land, spin & stop.” Having figured out how to animate the unseen almost perfectly, watching the animation next to the actual video footage is very cool. As of July 5, Pinot’s work has paid off handsomely and the effect of “This Is America” as rendered in a 1980’s Apple animation programme is actually pretty damn cool. Check out the work in progress below as well as Pinot’s timeline below.